The record-setting quarterback will go for an 11th straight win after a season-opening loss in a visit to the Cowboys on Thursday night. That’s exactly what Dallas did when Prescott and running back Ezekiel Elliott were rookie sensations in 2016. It won’t be a franchise record the way it was for Dallas. The Cowboys might remember when New Orleans started 13-0 on the way to a Super Bowl title nine years ago, because they won on the road to start the Saints’ season-ending three-game skid. The Saints can’t afford a similar slump if they want the NFC’s top seed, which Dallas had with 13 wins two years ago. The Los Angeles Rams enter the week with the same 10-1 record. But New Orleans can wrap up the division title with four games remaining with a win and a Carolina loss at Tampa Bay on Sunday. Dallas’ trade for new No. 1 receiver Amari Cooper is paying immediate dividends. Not only is the offensive efficiency much better, but Cooper is among the NFL’s first-down conversion rate leaders for receivers since coming over from Oakland for the Cowboys’ 2019 first-round pick. 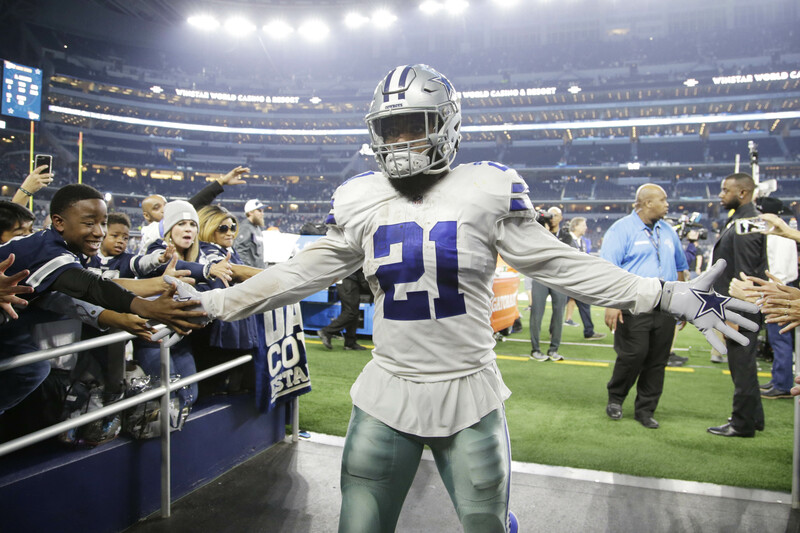 “Their defense is definitely playing really well right now, so we have to do a good job of possessing the ball, running the ball, try to give our defense some breaks because we know what they have on the other side,” Cowboys right guard Zack Martin said.